As Head Coach, 1st Grade Women’s Nikki Beaton runs the club’s elite Women’s program with the aim of bringing the club success in Sydney’s top flight competition, the Sydney Women’s Premier League. While new to the club, Nikki brings a wealth of hockey experience having played junior hockey to a State level before then focusing on umpiring, umpire coaching and player coaching. 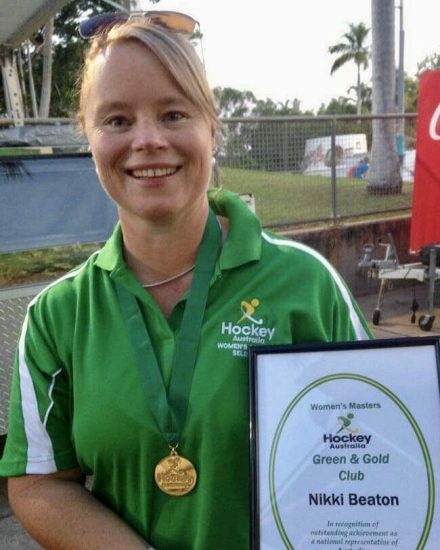 She has an outstanding coaching background including: working in the NSW AAP, COD and TAP programs; prior SWHL 1st grade teams coaching; coach of the School Sport Australia Girls Hockey team; and has coached the Hockey Australia Masters Women’s teams since 2003. Professionally, she has a strong background as an Educator and in student development. Gina Rees has previously worked as Head Coach in 2018 and Assistant Coach for our Women’s Premiership winning 1st Grade side during the 2016 and 2017 seasons, as well as Ryde Hockey Director of Coaching across the Women’s club in 2017. Outside of Ryde, Gina has coaching experience with HNSW as the Game Development Manager for hockey and interim High Performance Manager. She has worked as AHL Arrows manager and both U13 and U15 state team coach. Gina currently works with the Australian Rugby 7s teams as Player Development Manager. In 2018 Kirsty O’Sullivan also joins the 1st Grade coaching staff video analysis assistant. Kirsty works with the Australian Women’s 7s as the video analyst and has experience with Hockey through her internship with NSWIS. Kirsty also plays with Ryde Women’s and is a speedy striker.